Tapestry Awards, Legal Directories 2018 and Team News! A very big thank you to all our clients, friends and colleagues. It’s been 7 years since we established Tapestry and we’ve had an amazing journey and a lot of fun – thank you for all your support. 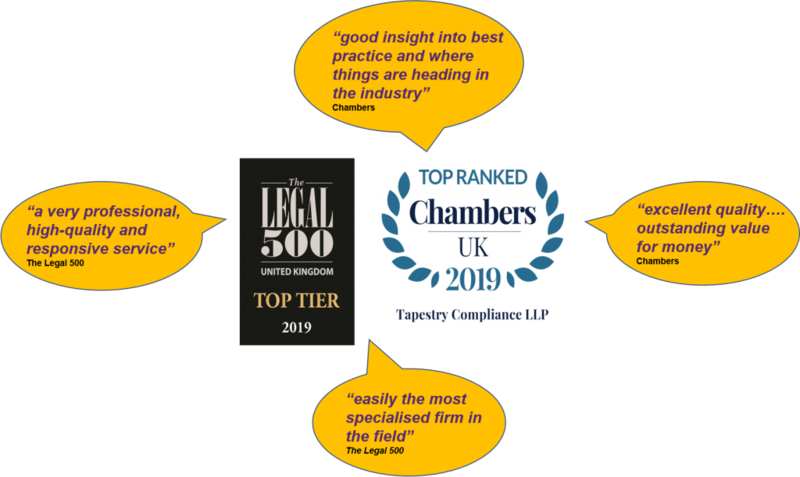 It’s the time of year for the publication of the 2 legal directories, Legal 500 and Chambers, as well as being Awards season. Our Legal Director, Hannah Needle, has been ranked by both directories as a notable practitioner with Chambers ranking her as a Star Associate, noting her to be “smart, insightful, creative, measured and reasonable”. We are delighted with these comments – thank you. If that wasn’t enough, we are also continuing to win awards for our industry leading work.